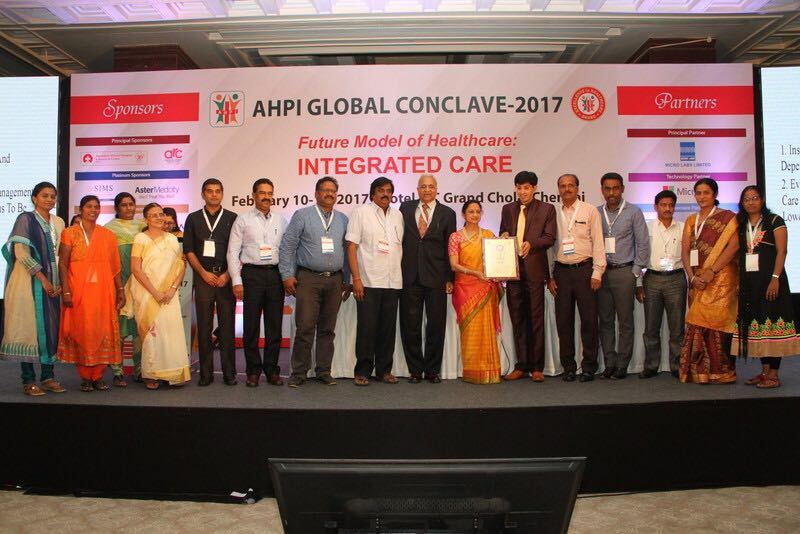 Dr, Manoj at the Association of Health Care Providers India ( AHPI) Conclave ,Feb 2017. 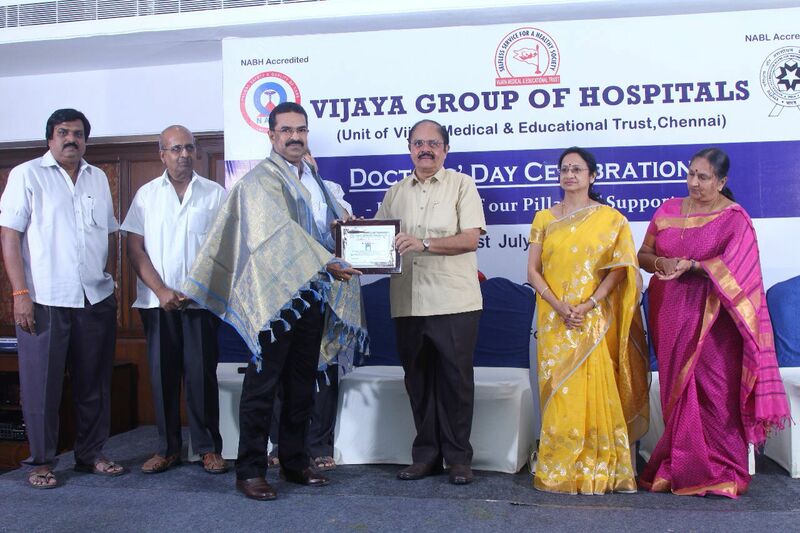 Vijaya Group of Hospitals being awarded the best place to work for. 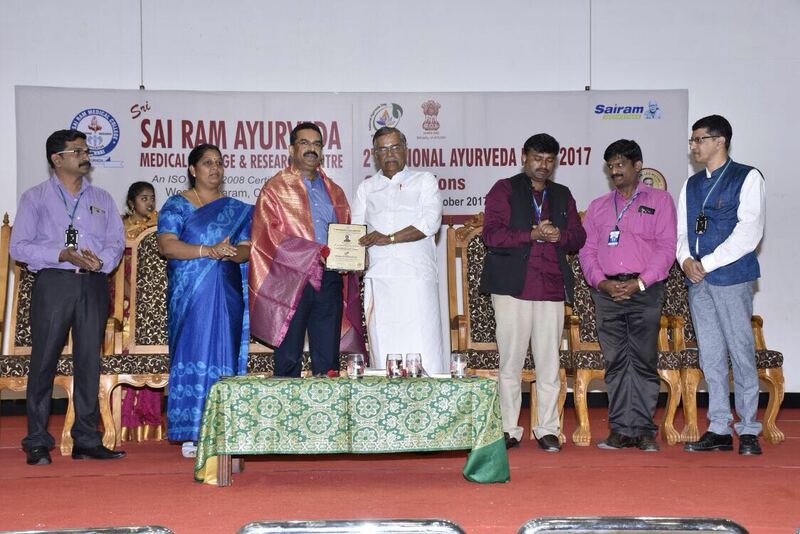 Felicitation at Sri Sai Ram Ayurveda Medical College & Research Centre, Chennai . 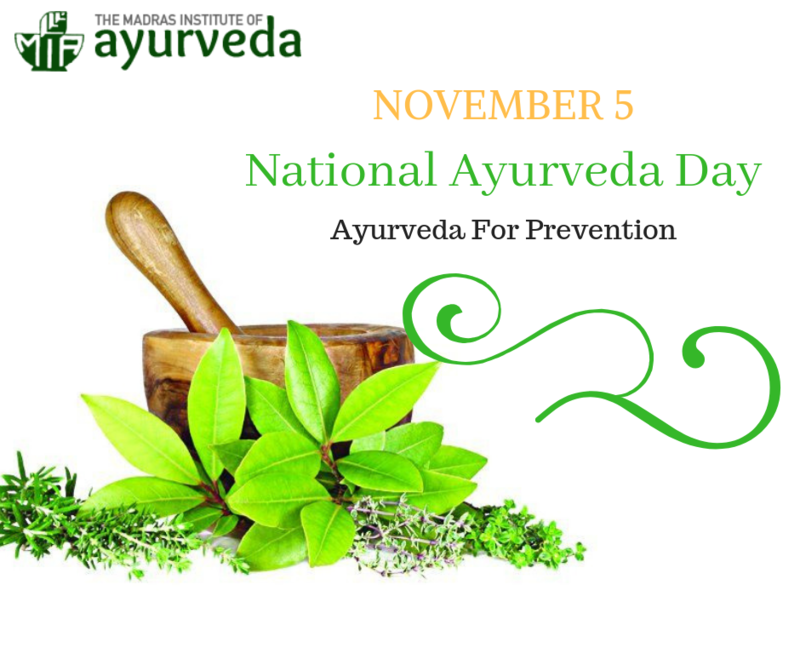 DHANVANTARI award for exemplary contribution to the field of Ayurveda , presented by Sri Ila Ganesan, M.P on Second National Ayurveda Day Oct 2017.